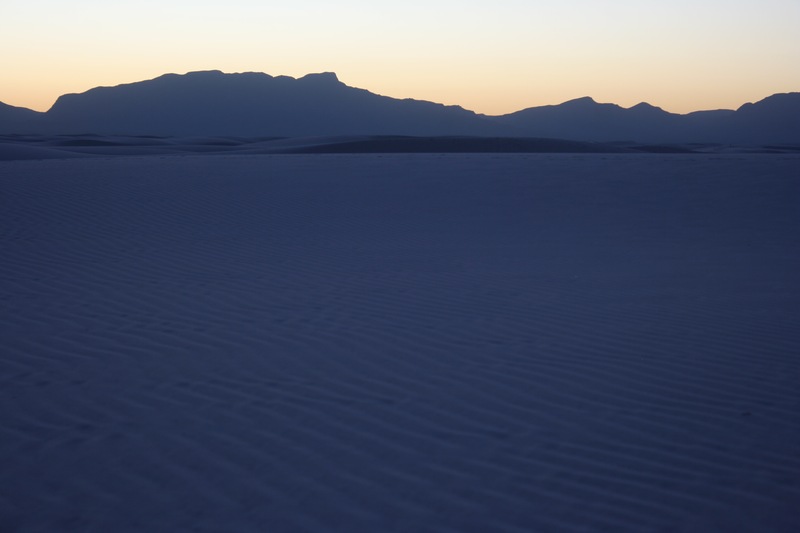 White Sands National Monument | ride. travel. live. A bit of natural scenery for a change. In a rather desolate corner of New Mexico lies one of the most photogenic spots in North America, White Sands National Monument. 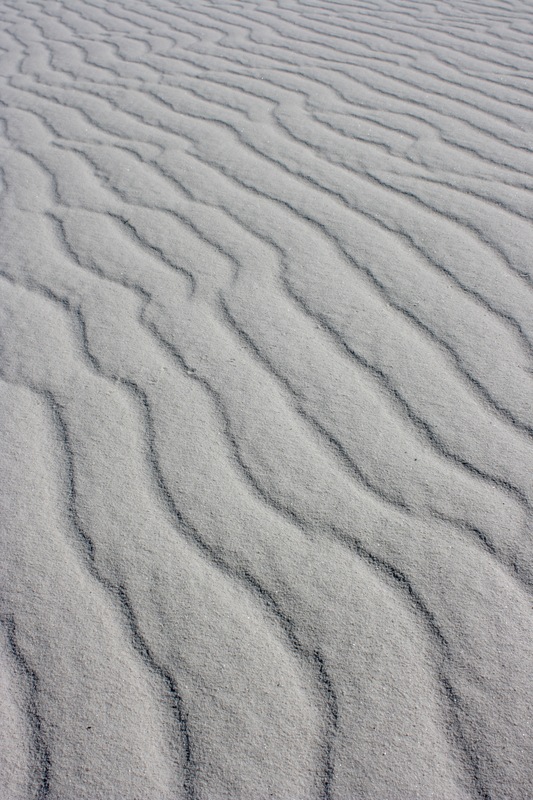 It’s a unique sand composition, being water soluble gypsum which is a brilliant, eye-burning white color. The other big sand-based national monument / park lies several hundred miles north on the west side of the Sangres, Great Sand Dunes National Monument. Both depend on water. 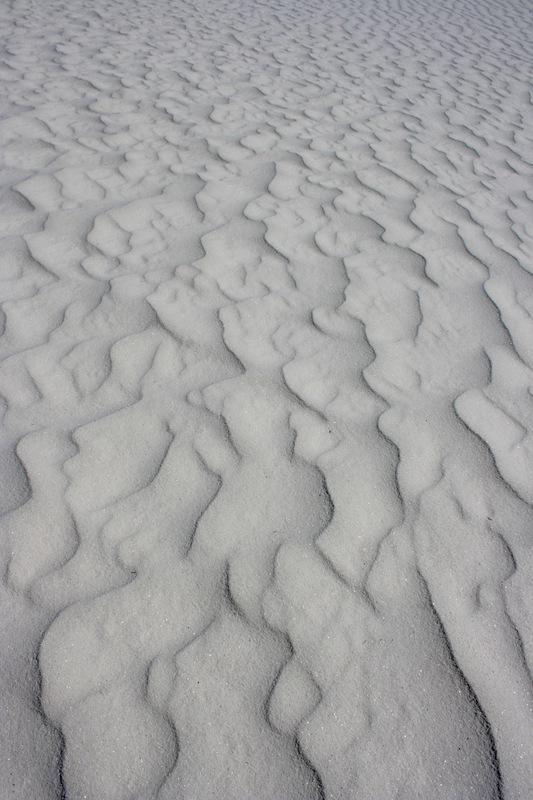 Since White Sands lies in a basin with no outlet, any moisture interacting with the gypsum pretty much goes straight into the ground, or is dried out by the hot weather. Great Sand Dunes is a bit different, with the sand being carried by the nearby river downstream away from the Sangres, and winds blowing the sand back towards the mountains and depositing the sands in the dunes. 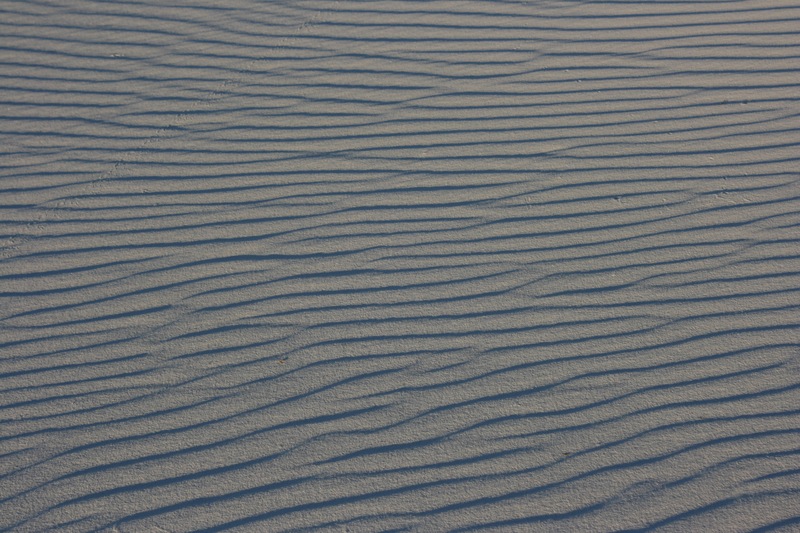 White Sands is open in the daytime with extended hours during the full moon. I caught one of these full moon evenings and it’s really spectacular. I also hiked out to the flats in a 5 mile loop. Photographing here is a bit tricky, actually, as really small grains of sand muck up the camera sensors and deposit all sorts of tiny particles on the lenses.